The most advanced BCAA drink mix packed with 7 g of BCAAs, 2.5 g of L-Glutamine, and 1 g of Citrulline Malate. Scivation Xtend is the most advanced BCAA drink mix and is packed with 7 grams of BCAAs, 2.5 grams of L-Glutamine, and 1 gram of Citrulline Malate. Plus, with a unique blend of hydration-inducing electrolytes, Scivation Xtend is the delicious, refreshing, sugar-free way to help anyone grind through a grueling gym session. World-class athletes, elite bodybuilders, champion fighters, and weight training enthusiasts of varying types all use Scivation Xtend during their workouts in order to train longer, harder, and with more intensity. As a dietary supplement, mix one scoop per 240-300 ml of water. Shake well and consume during exercise on training days, or throughout the day on non-training days. 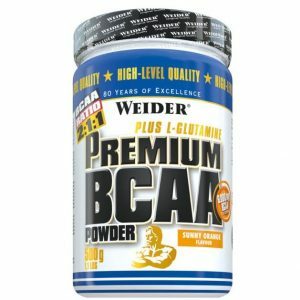 Taking BCAA supplements is particularly important if you do strength or muscle-building workouts, in order to protect the muscles from wear caused by training.